Jiu Jitsu is the martial art of which the entire sport was built upon back in the 1990’s when the Gracie Family represented by the legendary Royce Gracie would enter into the UFC’s Octagon for the first time and would go on to dominate the first several events with his technical and innovative style of fighting. The sport has evolved since those days; wrestling and striking have taken their spots alongside Jiu Jitsu as the most essential disciplines to take into MMA completion. Still, there are select fighters who have kept the Jiu Jitsu base as their premier skillset and one of the very best in our state will be in action this Friday night at Bellator 105 inside the Santa Ana Star Center. The interesting addition to the storyline is that the selected opponent will be of the striking focused background making the match up look a lot like fights used to look on paper back in the golden era of MMA. Josh Lanier (4-7) has had a very storied career over the last six years and has remained one of the more polarizing figures in the local scene. While at first glance his resume may seem underwhelming, it has been his success as a grappling coach and grappling competitor that has really stood out for the Lovato Total Fitness fighter. “Big Country” has won almost all of his MMA victories via submission and his long, lengthy limbed frame becomes dangerous as his guard game can lock opponents up in very interesting ways. The 6’6″ frame of Lanier is similar to that of the UFC’s Quinn Mulhern who also trains out of Albuquerque. The long legs of Lanier allow him to lock on body triangles and the traditional triangle much easier then that of a fighter with average height and length. Omoplata’s and armbars can also come in very unique set-ups as well which makes the grappling game of Lanier much like a web in that even when you believe you are safe, you find yourself trapped in a dangerous position to be submitted or swept to a bad position. The flip side of the skillset of Lanier is that his striking continues to improve; which is typical of fighters who have an expertise in one martial art that they are not always the best equipped in other disciplines. Lanier despite his length has shown a susceptible weakness to strong strikers and has addressed that need to improve by utilizing the tutelage of striking savant Ray Yee out of the Albuquerque Kickboxing Academy. If Lanier improves his striking acumen and uses his long limbs to out strike opponents from a safe distance, it will only make his excellent grappling talent that much more dangerous. 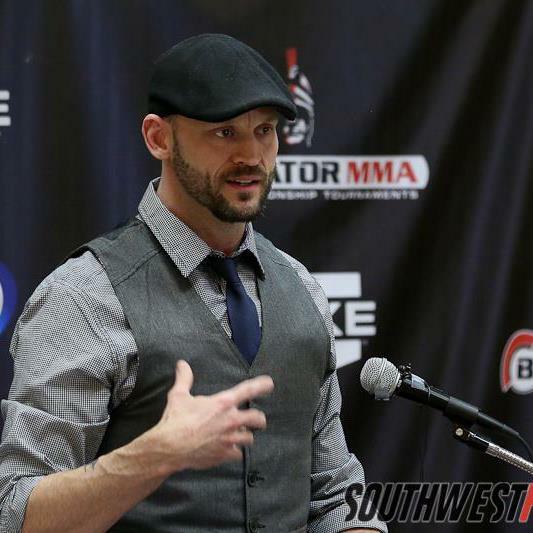 Lanier’s Head Coach Lenny Lovato Sr. will undoubtedly have his fighter in top condition and well-prepared for the upcoming bout at Bellator 105. As a focal point of interest, Lanier went into his last bout well-coached and followed a masterful gameplan. Back in August at the Triple-A-MMA’s “North vs. South” event, Lanier capitalized on the short stature and grappling disadvantage of opponent Henry Ramos by quickly trapping Ramos along the fence and tripping him to the mat. Lanier showcased how quickly his grappling can take over a fight when he locked in a quick choke and cemented his placement on this Bellator MMA fight card. Contrasting Lanier in seemingly every way possible, Switzerland’s Volkan Oezdemir (9-0) has an unblemished record, nasty striking ability and a knack for avoiding a second round of action. The 24-year old prospect has won 78% of his fights by KO or TKO and most recently is on a streak of three fights where the fight has not seen the 60-second mark. Oezdemir has heavy hype around him and a very high ceiling but he has yet to be placed in a grueling grappling battle and for Lanier it becomes his opportunity to take him into deep waters. If the young Oezdemir is unable to finish early, will his confidence level change or hesitation kick in? Those are scenarios were Lanier can really take advantage of by either slickly moving into a takedown or pulling guard where he can start working his game. 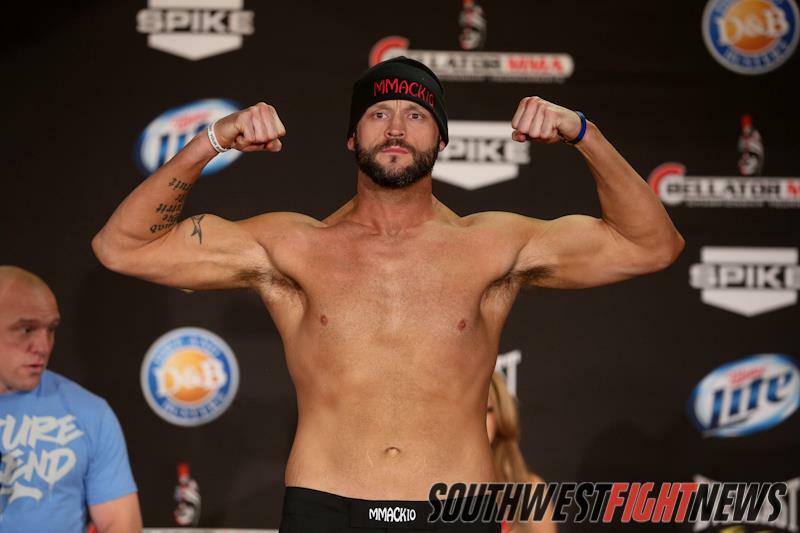 Competing at a Light-Heavyweight, Lanier will enjoy a height and reach advantage in his Bellator 105 bout. It is easy to bill this fight as striker versus grappler and by doing so making the predictions even easier. It would be hard to argue against saying that if the fight stays standing Oezdemir will have the advantage and if Lanier gets to play his grappling game then he will in fact be favored to win. Two points of interest on the match-up; Oezdemir has not faced an opponent as tall as Lanier but has very solid lead strikes that close the distance quickly and Lanier may be ill-advised to clinch as Oezdemir has solid knees from the collar tie. Lanier will have the opportunity to use his length to fight at a safe distance until he finds his opening for a takedown or crisp combination. It will be worth the hard-work if Lanier is able to come into the bout with improved striking skills which could include front kicks, jabs and other such strikes that really rely on Lanier’s length. This fight is set to be one of interest and is set for the 205-pound Light-Heavyweight division. While on paper Lanier may appear to be the underdog heading into the bout; the dangerous skillset Lanier possesses can quickly and abruptly end any fight and it would be very costly to solely look at records when predicting the outcome. After all, when we remember the culture of the sport we remember how much a submission game can be a difference maker inside that cage. Stay tuned to SWFight for more event coverage, bout breakdowns and analysis. We urge fight fans to join us in sending our support to Lanier and the Lovato Total Fitness fight team and come out on Friday night to watch your hard-working locals compete in MMA action. For more updates, including the night of the fights follow me on Twitter @KingStark24 and the Southwest Fight News handle @SWFight.